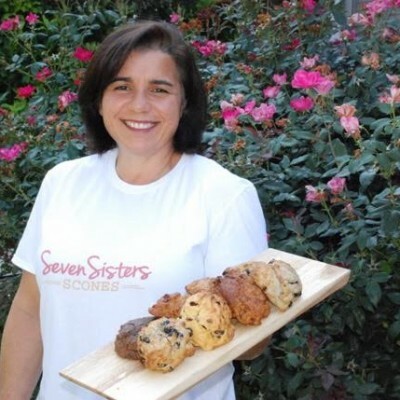 Farmers market vendor Seven Sisters Scones will soon have a storefront in Johns Creek, serving sweet and savory scones, and eventually soups, salads, and pies. A soft open is planned for late September. Hala Yassine (one of seven women in her family) is a psychologist by trade, but worked in restaurants while attending school in California. “Cooking is always something I’ve had a passion for,” she says. She began experimenting with scones as an on-the-go breakfast for her husband, who had a long commute, and soon grew to selling at farmers markets. Today, she makes sweet flavors like banana toffee and apple caramel, as well as savory scones such as bacon-cheddar-chive and buffalo chicken. When the shop opens next month, it will feature 12 flavors of scones at a time, including two or three gluten-free varieties. There will be coffee, tea, and organic juices. Later on, Seven Sisters will serve vegetarian soups like minestrone, tomato, and cream of mushroom, as well as Caesar salad, focaccia, and ciabatta. It will be open from early morning through lunchtime, and feature minimal seating, with the focus on to-go orders. 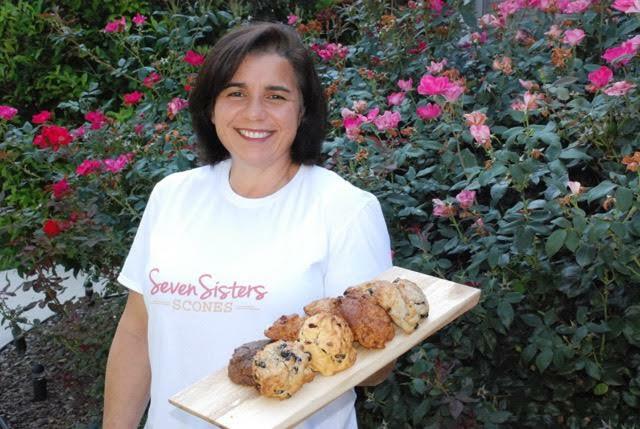 Seven Sisters will continue to sell its scones online and at farmers markets in Alpharetta, Roswell, Marietta, Johns Creek, Lilburn, and Piedmont Park.